EDMONTON -- United Conservative Leader Jason Kenney addressed a scandal over his party's leadership campaign in 2017 by saying he and his team have done nothing wrong or unethical, telling a news conference Monday it's not unusual for competing campaigns to share information during a leadership race. "Our two campaigns were communicating, and that would be normal in a competitive leadership election where you have, particularly, a preferential ballot," said Kenney. Documents leaked on the weekend suggest Kenney's team directed the campaign of a rival leadership candidate Jeff Callaway as Callaway attacked and criticized Kenney's main rival Brian Jean. Matt Wolf, a senior campaign strategist and now Kenney's deputy chief of staff, is shown in emails and other exchanges giving Callaway's organizers talking points, as well as speech and policy advice on attacking Jean. One piece of correspondence discussed when Callaway should drop out of the race -- which he did three weeks before the vote on Oct. 28, 2017. He threw his support behind Kenney. Kenney, asked if he was aware of what Wolf was doing, said, "I was not involved in or aware of details that was happening in our campaign headquarters. "I don't recall this ever being raised in our weekly campaign planning meetings. I was just vaguely aware that there was some ongoing communication." Two people have come forward to say that Kenney was personally involved with the "kamikaze candidate" plan and attended meetings about it from the beginning. Cameron Davies, a senior adviser on the Callaway campaign, said in a statement to Alberta's elections commissioner that Kenney and his team met with Callaway in July 2017 and agreed to run him as an attack candidate. "It was decided our teams would work together to ensure proper narratives and messaging," wrote Davies. Happy Mann, another attendee, said Sunday on Facebook that the meeting took place on July 19 at Callaway's house and that Kenney was present. "At that strategy meeting, we agreed that Jeff Callaway will join the UCP leadership race as a candidate and will run a campaign aimed at discrediting Brian Jean," wrote Mann. "We felt that it was important for Jason Kenney to win decisively and that this could only be guaranteed if another candidate took away from Jean's popularity." Kenney said Monday he went to Callaway's house to get support but left empty-handed when Callaway told him he planned to be a candidate. "He had asked me if I would be interested in doing this, to be able to say things about Mr. Jean that he would not want to say to stay above the fray. I was not particularly interested in that," said Fildebrandt. "I don't want to be a patsy for somebody else." The elections commissioner and the RCMP are investigating how Callaway's campaign was funded. It is against the law for people to donate money provided to them by others. 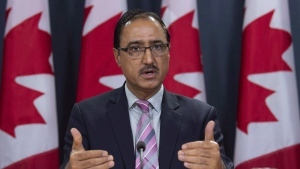 Maclean's magazine quoted Davies on Monday as saying that he received a corporate transfer of $60,000 into his bank account that was then redistributed to pay Callaway's race entry fee. Kenney has denied any role in funding Callaway's campaign and has repeatedly stated in media interviews that there was no link between his campaign and Callaway's. 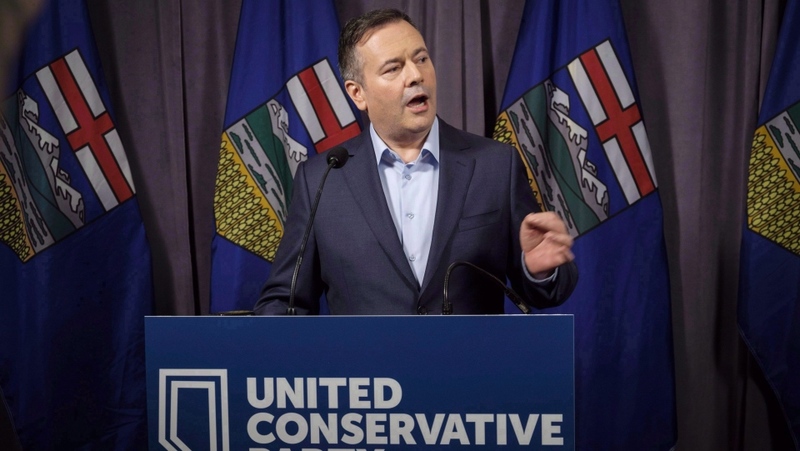 Callaway was one of three rivals for leadership of the UCP, which was created from a merger between Kenney's Progressive Conservatives and Jean's Wildrose Party. Premier Rachel Notley said her government is focused on how to "make life better for Albertans" but added: "For the last 18 months or so Jason Kenney was focused on how he could make life better for Jason Kenney. "And more to the point he hasn't been honest with people about that."